At Vida Nueva Ranch we raise Paints and Quarter horses. 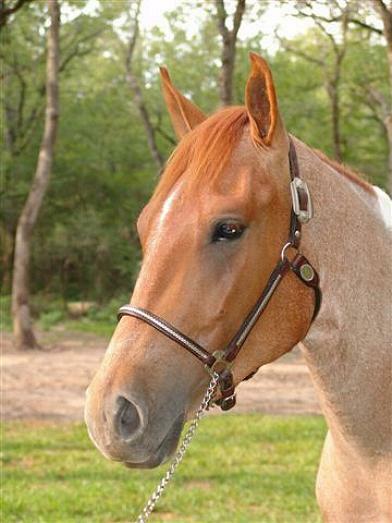 Some breed historians have maintained that the American Quarter Horse is the oldest breed of horses in the United States. The Quarter Horse is known for its great speed during one quarter of mile distances. In 1519, the Spanish explorer Hernando Cortes sailed to the New World to find his fame and fortune. Along with his entourage of conquistadors, he brought horses to help his men search the vast land for riches. According to the Spanish historian Diaz del Castillo, who traveled with the expedition, one of the horses was described as a "pinto" with "white stockings on his forefeet." 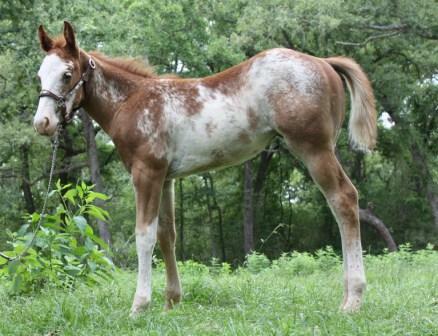 The other was described as a "dark roan horse" with "white patches." These were the first known recorded descriptions of early Paint Horses in the New World. Today Quarter Horses and Paints are known for more than their great speed and flashy color. They are chosen horses of the American cowboy. Many Paints and Quarter Horses have what is known as “cow” in their blood. This means they have a natural instinct and ability to work cattle. As a child, I grew up around Quarter Horses and Appaloosas, but my dream was to one day raise Paint Horses. 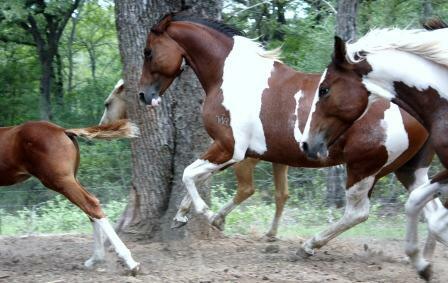 So when we bought the ranch, Jay bought us a few Paint Horses. Since then our horse herd has grown along with our family. Each child has a horse they are responsible for. Here on the Vida Nueva Ranch everything is lively. We have all kinds of animals, but horses have really left a mark on us. Our horses are not just pleasure horses, they have to pull their own weight on the ranch. We use our horses for all kinds of things such as bringing cows up from back pastures when we need to work them, holding a calf if we have to rope one, and they must behave when we need to take them to the vet or get basic ranch work done. Now that’s not to say that we don’t enjoy our horses for pleasure also. The kids spend a lot of time on the backs of horses. When the weather is nice, we all enjoy a long trail ride down the place on Sunday afternoons. Riding has been a great family time for us and we look forward to spending more time enjoying these beautiful creatures.